Experience the sheer pleasure of playing the piano...and keep it all to yourself ! 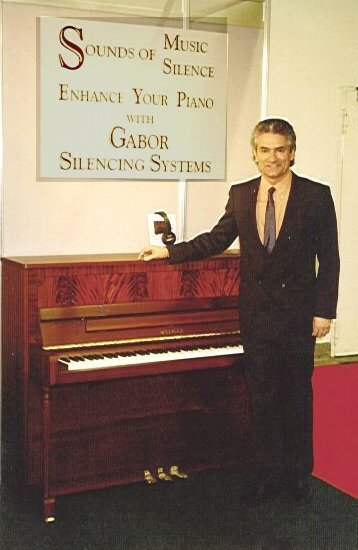 The Gabor System ( named after its inventor Gabor Bartos ) is a remarkably simple idea which converts any normal acoustic piano into a master keyboard capable of transmitting MIDI note information and sustain messages to an external MIDI device. ©1998 - 2007 GB Musical Enterprise Ltd.